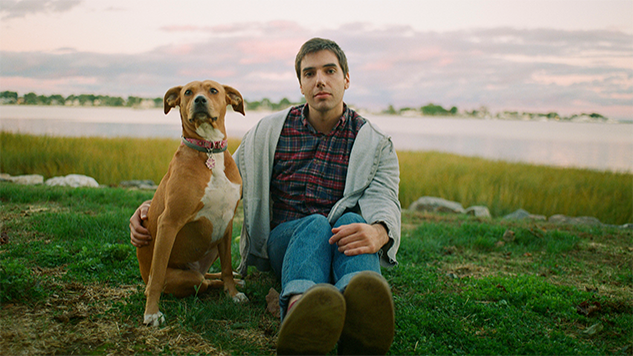 LVL UP's Mike Caridi Announces New Project The Glow, Shares New Song "Beamer"
Mike Caridi of Brooklyn indie-rock quartet LVL UP has shared “Beamer,” the first song from his new project The Glow, following the dissolution of LVL UP. Caridi plans to release a full-length debut sometime in 2019, distributed through his record label Double Double Whammy. “Beamer,” which Caridi wrote in 2015, finds him mixing in old and new tricks alike. The harmonized noodling of LVL UP’s best guitar work can be found here, but the songwriting is more purely pop-oriented than anything Caridi had done before. It sounds almost radio-friendly, a summery jam made wistful by the knowledge that LVL UP may be gone, but their legacy continues. Caridi will be playing a pair of shows as The Glow in January. Find those dates further down. Watch the “Beamer” video, directed by Adam Kolodny, Ryan Schnackenberg and Caridi himself, below.